We need to start treating each other better in America. Jessee Carlton Fleenor is a new generation of Democrat. A local farmer and father of three who believes we need to rediscover our sense of honesty, kindness & community that are at the heart of what it means to be from the great state of Louisiana. Vote for Jessee and let’s put the American family back at the heart of our policy discussions. From Bogalusa to Bastrop, Grambling to Lake Providence, and from the Twin Cities of Monroe all the way through Opelousas, by way of Alexandria / Pineville. Easily one of the most gerrymandered in the history of the American republic, the absurd shape and sheer size of the district were designed to make elections less competitive. Jessee believes that in this period of flux and re-alignment, it is up to each of us as citizens to re-evaluate the core principles on which the country was founded and rediscover the sense that we are all one American family, before we are part of one team or another. It is time to start fully appreciating the diversity of our communities and commit ourselves to taking better care of each and every member of our society. It is essential that we do a better job electing representatives that are reflective of the districts they purport to represent. 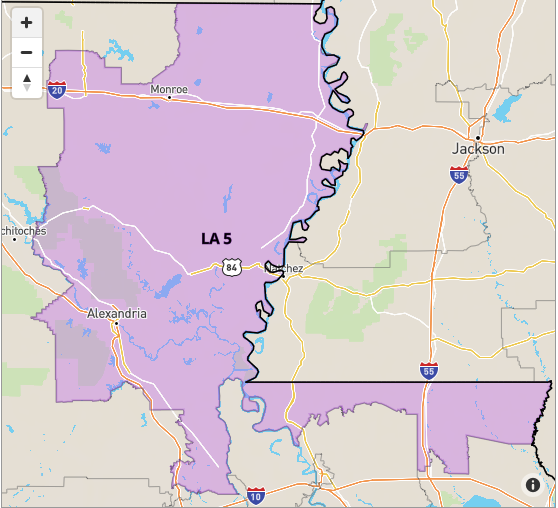 Well over half of current US congressional representatives are millionaires, a statistic that is particularly painful to stomach in Louisiana, where the overwhelming majority of individuals live on less than $40,000 / year. There should be no millionaires in congress, until the districts they represent are made up primarily of other millionaires. Changing the way we finance campaigns in this country would go a long way towards helping the regular American, with regular concerns, take a more active role in public life, without spending all of their time groveling to the wealthy donor class or worse, continually electing the same corrupt few with enough money to finance their own campaigns. Implement new approaches to address the current American opioid epidemic. We have got to allow physicians to prescribe reliable safe treatments for addiction recovery including methadone and buprenorphine, which have been proven to bring down overdose deaths by close to 40% in trial communities. As we work to remove the stigma and taboo of addiction, we should refocus on a “whole patient” approach that combines the use of these treatment with behavioral therapies and family support. Right now any doctor can prescribe highly addictive opioid painkillers by the fistful but needs to go through special training courses to prescribe methadone and other highly effective treatments for addiction recovery. We need to reverse that dynamic and start the work of bringing down the supply of opioids prescribed and the stigma associated with dependency. Addiction is not a sign of a weak character, rather it is a physical dependency, often brought on though the over-prescription of opioids in our society. Jessee believes we should work as Americans to re-energize our shared civic culture with new forums for public discussion and problem solving. These can include a renewed focus on non-partisan journalism, more civics and comparative government classes in our primary and secondary school curriculum and by making Memorial Day once again a solemn day of reverse and historical reflection. In these and other ways we can slowly rebuild a sense of being one American people, with a shared history, a rational public discourse and a desire to constantly improve the way we make shared decisions in our American communities.